Woodward, F.R. 1991. 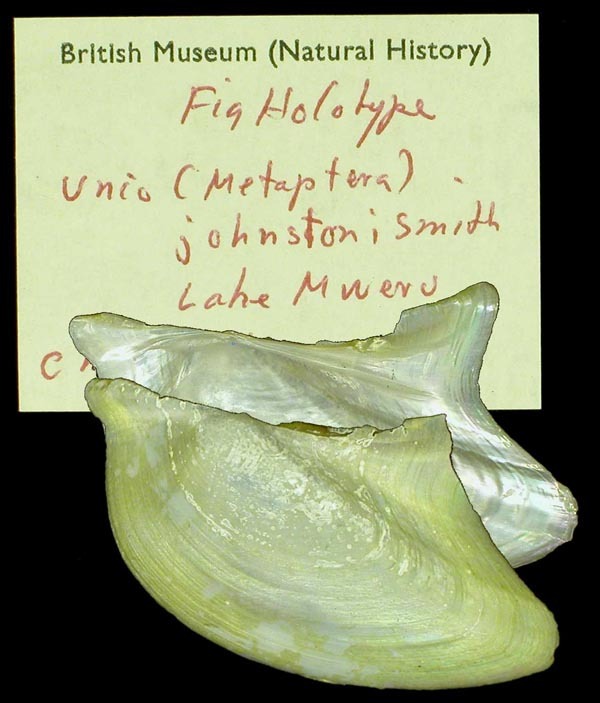 Notes on naiad taxonomy (Bivalvia: Unionoida). 2. The genus Prisodontopsis Tomlin, 1928. Journal of Conchology 34: 103-105. Prisodontopsis aviculaeformis F.R. Woodward, 1991. — F.R. Woodward (1991: 104).